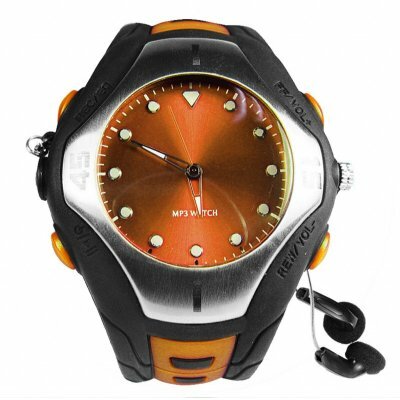 Successfully Added Wrist Watch Mp3 Player 1GB - LINE-IN and MIC to your Shopping Cart. Another great Chinavasion Wholesale Wristwatch 1GB MP3 Player. The modern style design for this product is sure to please anyone who owns it. You can use the watch as a portable hard disk, record with the high quality MIC, and LINE-IN function lets you record clearly. Supports MP3/WMA/WAV music format and repeat function..
Can I use it as a watch? Yes, you can use it as a fashionable style watch for telling the time. It is adjustable time? Yes it is adjustable via a standard pull rotary dial.